Image caption Retired civil servant Norman McGregor-Edwards will hold the position until 2020. An Isle of Man politician has told of his "shock" and "surprise" following a comprehensive by-election victory. 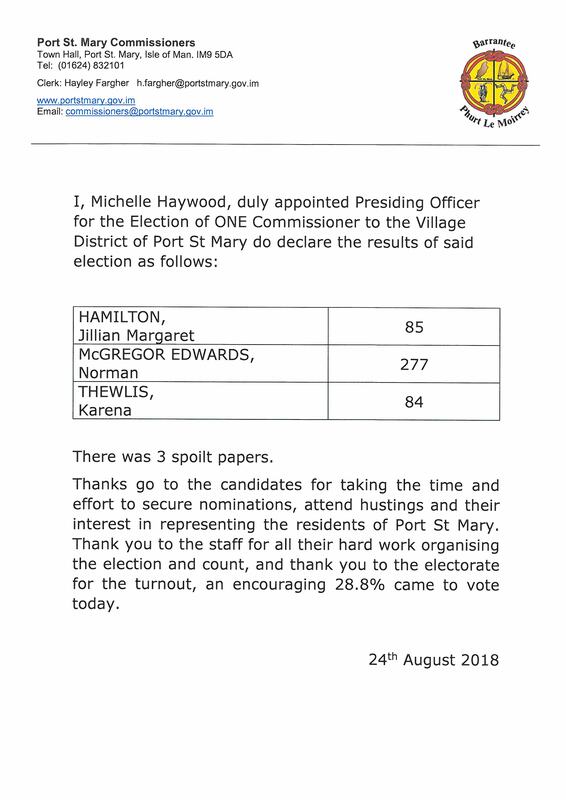 Port St Mary commissioner Norman McGregor-Edwards received 62% of the vote in last week's poll - 193 votes ahead of his nearest challenger. The by-election was triggered when Richard Ashcroft resigned from the board last month. Mr McGregor-Edwards said: "It was quite a surprise. I was hoping, but I didn't expect a result as resounding as that." The retired civil servant will hold the position until 2020. 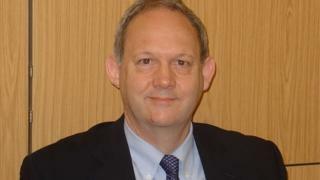 Mr McGregor-Edwards was formerly the Manx government's director of health strategy and performance. Private nanny Jillian Hamilton finished second with 85 votes, while 84 people backed chef Karena Thewlis. The turnout was 28.8% - more than 10% higher than recent elections in Ramsey and Douglas.